Amidst a world dominated by shooters, Siege shines uniquely in a crowded market. I got into Siege about two years ago and having persevered through its admittedly steep learning curve, and I have been amazed by Ubisoft’s continuing support for the game and how I still find new tips and tricks to improve my ability. 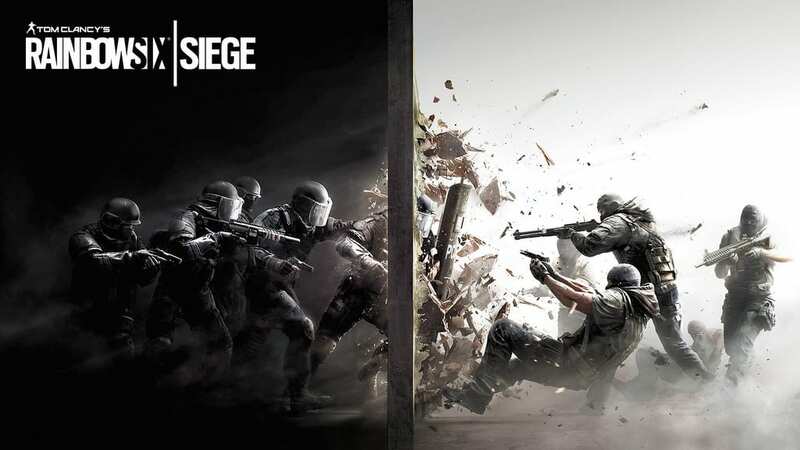 Siege is a shooter unlike any other, though it combines some similar elements from existing games. The unique operators are akin to characters in Overwatch or Dota 2, while the twitch shooting and accuracy required is like CS:GO. Siege stands out because of its dynamic map design and how its operators interact with them. 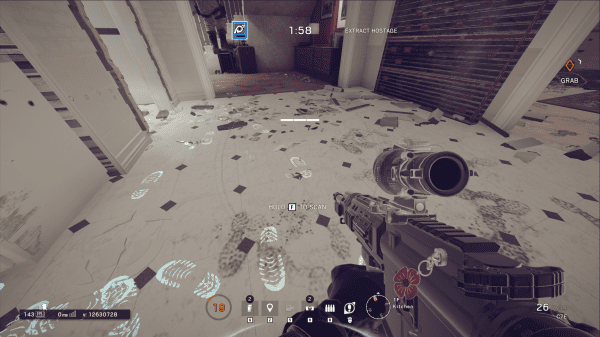 Destructible surfaces are not new in shooters, but Siege handles them well by using them sparingly, allowing defending players to reinforce a few walls to make them mostly indestructible, hindering the attacking team’s progress to the objectives. However, if the attackers are smart enough to bring along hard breachers (characters with abilities to get through reinforced walls), they can bypass defender reinforcements. But, if the defenders are smart, they can use characters to nullify hard breachers, and so on. This is what creates the best thing about Siege; its operators, their abilities and the synergy between them. For instance, the attacker Thermite can breach reinforced walls with his thermite charge; however, the defenders Mute, Bandit and Kaid can block his charges using their gadgets, effectively locking down the objective. But, with the SAS attacker Thatcher, his EMP grenades will disable any defender gadgets blocking the wall, allowing Thermite to blow a hole into the site, so teamwork is paramount. There is a huge variety of operators from special forces teams all over the world from the British SAS and French GIGN to the Chinese SDU, and each character has their own unique loadout and abilities suitable for any playstyle whether that’s a “fragger”, someone whose main goal is to secure kills, a site-breacher or a general support character. My favourite is the Spanish attacker Jackal. His role is simple: be the ultimate pain in any roamer’s (players who seek to sneak up on and flank the attacking team) backside. His awesome gadget, the Eyenox visor, allows him to identify and track footprints left by defenders in the last 90 seconds. Once tracked, the target’s position is pinged once every 5 seconds for 20 seconds, so any sneaky players planning to flank the attackers have their plans foiled. Experienced players can even estimate how recently the footprints were left. The catch is Jackal can only do this three times per round, after which point his vision is distorted when using his visor, and he cannot aim or shoot while scanning. This leads to a key aspect of Siege: For the most part, the operators are fantastically well balanced. Operators with the strongest guns such as Ash are often kept in check with relatively simplistic gadgets, such as her breaching launcher, while those with the best gadgets, such as Echo’s player-stunning Yokai drones, receive weaker weapons. When operators are released in an over or underpowered state, Ubisoft is reasonably quick to respond to complaints, resulting in nerfs to the previously overpowered Ela and Lion and buffs to underpowered characters like Mute and Finka. Indeed, Lion, with his motion-scanning drone, is under ongoing scrutiny and Ubisoft are looking at a further nerf to his ability. As such, you can pick pretty much any character and their loadout and not be at a disadvantage. While in some games there are weapons or characters that are significantly worse than others, in Siege the playing field is much more even. Furthermore, the four free seasonal updates allow the game to constantly evolve. Each season, 2 new operators and a map/map rework are added to the game, often completely changing the meta. 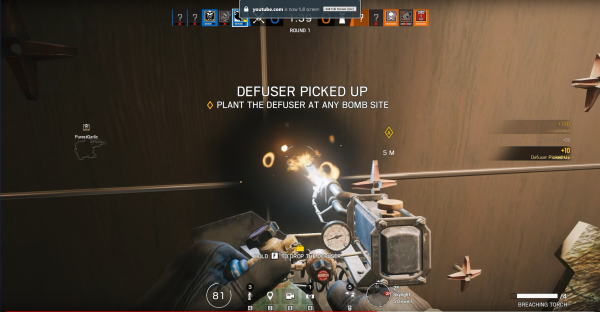 For instance, one of the more recent operators Maverick has a blowtorch that can melt small “murderholes” into reinforced walls and attack defenders from an angle they were not expecting. As such, defenders now must now constantly pay more attention to reinforced walls, a drastic change from before his implementation. This is what keeps Siege fresh nearly 4 years after release. I also revel in the fact that simply getting kills and having the best aim is not what makes someone “good” at the game. Sure, being able to accurately headshot your opponents will naturally make you win more games, but the true skill is in map knowledge, spatial awareness and clever communication with your team. For instance, a FPS-shooter legend may be able to single-handedly shoot their way to victory, but a closely coordinated team may tactically attack the site from multiple angles at once, using their gadgets together to confuse and disrupt the opposing team’s efforts, leading to a more satisfying and cooperative victory. So, while Ubisoft have released some lacklustre titles recently, such as Watch Dogs 2 and Far Cry 5, Siege continues to be the multiplayer shooter I enjoy the most. The amount of free content added to the game since launch, the constant balancing of operators and evolving dynamic of the game keeps Siege worth playing even after thousands of hours of gameplay. Indeed, Siege’s continued popularity according to the Steam player charts is testament to its ability to draw gamers in. Perhaps other shooters that go for the classic “annual reskin of last year’s game” tactic should reconsider their business models, given the success of games that receive long-term support, such as Siege and especially Fortnite. The Steam Lunar New Year sale has just started and you can pick up Siege for as little as £8.36 until February 11th.